Who do you know that absolutely adores reindeers, even when it’s not Christmas? Most of the gifts below can be for any time of the year, not just the holidays. 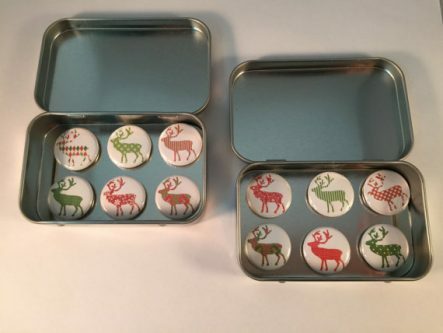 So, if you know someone who enjoys reindeers so much that you know they would appreciate a gift with a reindeer theme, try out one of these gift ideas below! For animal lover gifts for every animal under the sun, we’ve got you covered! 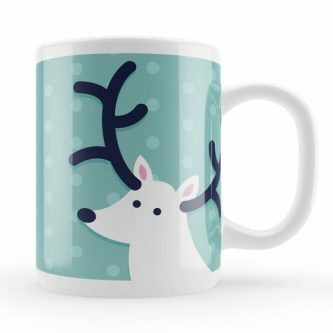 A cute reindeer with a snowy background, in calming colors, on their coffee mug will help your favorite reindeer lover to start their day on the right foot. Help them decorate their house all winter long with this plain white reindeer figurine to spruce up their shelves. If they are users of essential oils, they will just absolutely love this essential oil diffuser necklace with a reindeer scene on it! 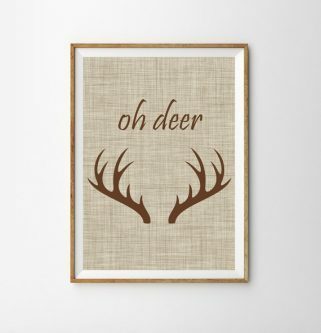 “Oh deer,” how beautiful this would look framed and hanging up on their wall at home, or in their office! Every woman enjoys getting jewelry as a gift, and she will have fun wearing these beautiful silver reindeer earrings! 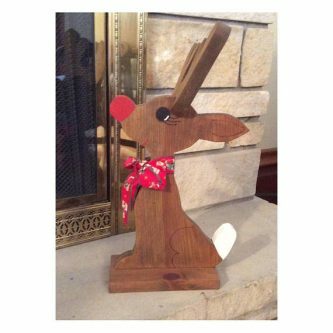 The perfect addition to their porch or indoor decoration, give them a reindeer block sign with snowflakes on it. It’s simple, but so beautiful! 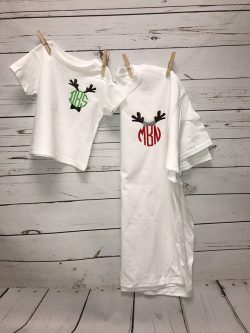 Help your friend and her kid match in these personalized reindeer antler shirts. They will both be giddy as ever to wear these out and about. This reindeer galaxy tote bag is certainly popping, no one would miss it! Besides that, it’s fun and colorful! Give them a nice reindeer pillow to place on their couch or chairs in the winter. It comes in a few different colors, perfect for matching their current color scheme! If your reindeer loving friend also loves cats and sewing, they need this cat reindeer pincushion to stick their needles in as they work. Candles are even more homey in the winter, so they might as well have something unique to put their candle on, in the form of this reindeer pulling a carriage. It will catch everyone’s attention. Help them feed the reindeers, or spark the magic in their kids, with this delectable bag of premium reindeer food… Yum! 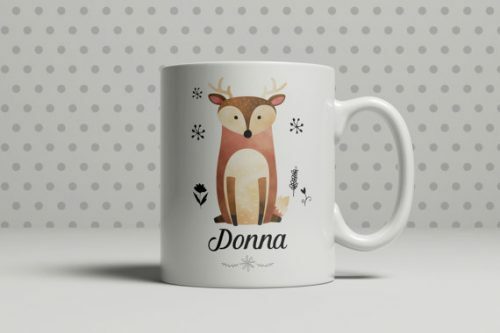 How awesome would it be for them to get up each morning and see their name on their coffee mug, and with their favorite animal on it as well? 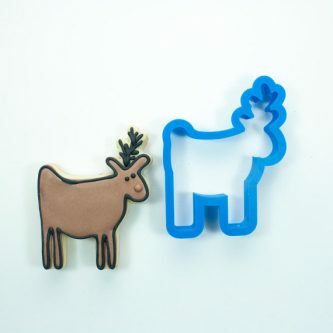 Magnets are fun and these reindeer magnets will look so nice on their fridge, helping them hold up their kids’ artwork, reminders, and much more! Wow, they can paint their own oil painting of a reindeer? How awesome! 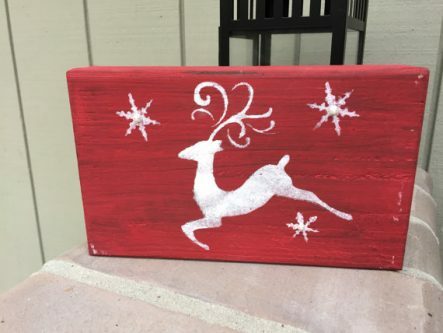 It may say it’s for kids, but any reindeer, young or old, would find joy in painting this reindeer. Give them the gift of Christmas with this absolutely adorable reindeer Christmas ornament to decorate their tree with. Rolf the Reindeer is huge, and will make a nice addition to your favorite reindeer lover’s home, if only for the season. 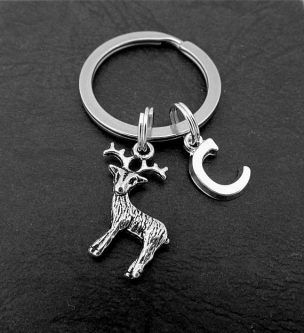 Personalize the reindeer keychain with their initial, and they will cherish it forever. Who wouldn’t love to make reindeer shaped cookies from the comfort of their own home? These would be fun all year long! Reindeers are beautiful creatures. Even though we don’t often get a chance to see them in real life, they have a sort of mystical presence in our minds and all of these reindeer gifts will please the reindeer lover in your life.